MTSU celebrates 'True Blue' st..
MTSU to promote arts offerings.. The MTSU Wind Ensemble is now the first and only university musical ensemble in Tennessee to record for the world’s largest classical music label. “Angels in the Architecture,” a CD by the MTSU Wind Ensemble for the Franklin, Tenn.-based Naxos label’s Wind Band Classics, interprets the works of composer Frank Ticheli and two of his mentors, Pulitzer Prize-winning Leslie Bassett and 2007 Musical America Composer of the Year William Bolcom. Dr. Reed Thomas, director of bands at MTSU, led the creative project, which followed a rigorous vetting process with a live concert performance by the ensemble and a yearlong international jury review. Michael Fleming, an MTSU associate professor of recording industry, engineered and edited the production. It took place in three sessions totaling 14 hours in MTSU’s T. Earl Hinton Hall and Murfreesboro’s First United Methodist Church. 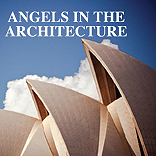 MTSU’s WMOT-FM (89.5) has been airing tracks from “Angels in the Architecture” as part of its classical music programming and has given copies of the CD to its donors as premiums during fundraising campaigns. “One of the educational assets of this recording is that many students wanting to find employment will have a leg up,” Thomas adds. “This will be a valuable part of their education.” The band director says that about one-third of the ensemble’s members have graduated since the recording was made. For more information, contact the MTSU School of Music at 615-898-2469 or Kelly Rach with Naxos at 615-465-3806 or krach@naxosusa.com. To order the CD, go to http://bit.ly/MTNaxosCD and click on “Buy and Download” on the right side of the page.